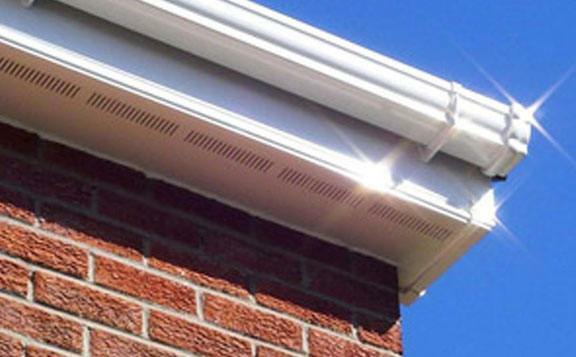 Professional Gutter Repair Company in Newcastle - At Affordable Prices! Polished Plastics have been a leading Newcastle gutter repair company for over a decade. 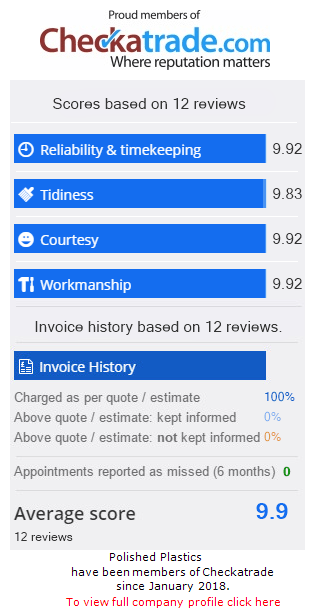 With over 1000 five star reviews on Checkatrade we offer quality services you can trust. Get fast and friendly gutter repair costs, we are experts in fixing leaking or broken gutters and downspouts and we don't charge the earth! The roofline and guttering of your property are perhaps not something you think about often but they are not something that should be neglected. After all, it does a lot more than just make the exterior look good, damaged guttering can cause significant damage to your home or business. Damaged gutters mean rainwater is not being directed away from your property which can result in it seeping into the building. A big no-no, this can result in mould, dampness and even worse can rot the timber in your roof and walls, in time, leading to costly repair bills and structural damage. It may surprise you, but broken guttering can also cause damage underneath your home. One of the most common causes of leaks in cellars are puddles of water formed as a result of damaged guttering. Over time if downpipes and gutters are not maintained water can seep into the foundations which can cause significant damage. Foundation work is a huge job, extremely expensive and something you want to avoid at all costs. Large cracks your patio or buckling on your driveway may also be the result of rainwater damage caused by damaged or blocked guttering systems, due to the fact the water is not being directed away from the building the way it should be. Old and damaged gutters, that are not doing the job they are supposed to, can also present a safety issue especially if there are elderly people or children living in the home steps and paths can become slick with water, moss and in the winter, ice, making them slippery, difficult to walk on and a potential safety hazard. Polished Plastics have been repairing gutters across the region since 2005. Our friendly, experienced team, can inspect your roofline and guttering before providing you with a no-obligation quote designed to meet your budget and requirements, be it a simple repair or full installation. Not only do we work with homeowners, we have a large portfolio of commercial clients and have repaired rooflines for, offices, schools, leisure centres, shops, hotels, bars and local authority buildings in Newcastle Upon Tyne and the surrounding areas. We can supply UPVC roofline accessories such as fascias, soffits, bargeboards, downpipes and guttering in a range of styles and colours that will not only prevent damage to the property but make the exterior look amazing too. Your home or business is important to us, we carry out any repairs or installations quickly with as little fuss as possible. Our experts will arrive uniformed, on-time and ready to carry out the job 100% to your satisfaction. We are proud of our reputation and much of our work comes from recommendations and repeat business. Specialist equipment, top of the range products, affordable prices and fully trained employees are just some of the reasons Polished Plastics has become the UPVC experts of choice for thousands of homeowners and business across the North-East and with our excellent customer service and high standard of workmanship we are going from strength to strength every day. We also offer a gutter cleaning and UPVC roofline cleaning service that will keep your roofline system looking its best and free from blockages. From the initial no obligation quotation through to completion, our dedicated team of professionals will provide you with the very best service at highly competitive prices.